This short project aims to identify major impacts to hydrological systems in the Upper Kinyeti River watershed brought about through land use changes in the catchment, and then identify vulnerabilities associated with these impacts and climate change. 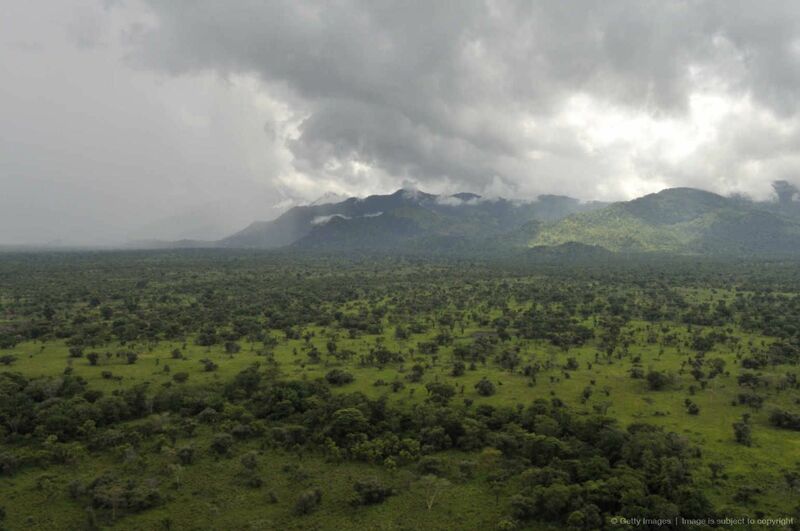 Much of the upper catchment is located on the slopes of the highest peak in South Sudan (3100masl), Mount Kinyeti in the Imatong Mountains, which are largely forested. The vulnerability of the Kinyeti watershed is only anecdotally known. However, during recent years significant land use changes and deforestation have reportedly taken place which is likely to have altered the flows and the provision of ecosystem services essential for human wellbeing. Clearing of this forest and other vegetation on the lower slopes for predominantly agricultural purposes threatens to impact the currently perennial flow of the Kinyeti river and other rivers draining off the Imatong Mountains. The rivers and streams of the Imatong Mountains are an important feature, particularly in a country like Sudan where apart from the slow flowing rivers like the Nile and its major tributaries, most streams dry up at the end of the rainy season. In addition, these streams provide a critical water source for many of communities, particularly the Kinyeti River which supplies the town of Torit. The endangered and fragmented lowland forests play a significant role in the hydrological functioning and stability of the region. The INR has undertaken a field visit to the area to inform the study and in addition will source existing data to characterise the area and identify threats and vulnerabilities related to dependence on the runoff from this catchment. Initially, digital elevation data has been used to determine catchment boundaries for the Imatong massif. The next component of this work will include the determination and mapping of land cover based on LandSat satelite imagery and ground-truthed information from the site visit. The project will then model the hydrology of this catchment under a number of scenarios to identify changes in flows in priority rivers related to land use and climate change. Understanding the resulting hydrological processes under different scenarios facilitates an analysis of future vulnerabilities associated with the hydrological changes. The outputs of the hydrological modelling will therefore be used to assess and determine the ecological vulnerabilities of the rivers in the basin. This will include identification of potential water quantity and quality issues as well as the drivers of such changes in the Imatong Mountain watershed. A qualitative description of the ecological vulnerabilities of each of the various scenarios will be provided. The outputs of a literature review and the vulnerability assessment will then be used to identify opportunities for reducing the ecological vulnerabilities of the river and forest systems in the basin and building ecosystem resilience to environmental change. In addition, a cursory set of implementation strategies and potential implementing partners will be provided.